What else do you stand to gain? Here is an interesting fact for you; there are 164 currencies in the world. Now imagine wanting to trade in some of these currencies. Where do you start from? Which currencies do you trade? At what particular point do you buy or sell that particular currency? Overwhelming, right? This is something that forexsignals is setting out to help you solve. 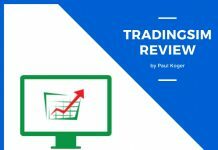 Before diving into our ForexSignals.com review, a definition of what Forex trading is wouldn’t hurt. This is for those who might have stumbled upon this guide and have absolutely no idea what Forex trading is. Forex in full means foreign exchange. Trading or exchange in this context means the buying and selling of currencies. From this, you can then conclude that forex trading is basically the exchange (buying and selling) of different currencies with the aim of making profit. Now that the definition is out of the way, let us now find out what ForexSignals.com does. Keep imagining that you want to trade particular currencies but you have absolutely no clue when to trade and what exact currencies you want to trade. Yes, very confusing. Well, thank goodness for ForexSignals.com! This site solves all of these issues. ForexSignals.com is a site where traders (both new and experienced) go for trade alerts and trading advice in order to make well-informed decisions when carrying out their trade. This site offers text message alerts, email alerts and a platform (chat room) where traders receive information about how to go about trading from experienced mentors. ForexSignals.com provides Forex phone (mobile phone) trade alerts to millions of its users worldwide. It is a platform where traders are notified when exactly to trade and where exactly to trade major currencies traded in the Forex market. 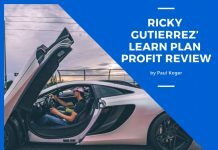 They also have informative videos done several times a day on their site where traders can go and learn how to go about trading. 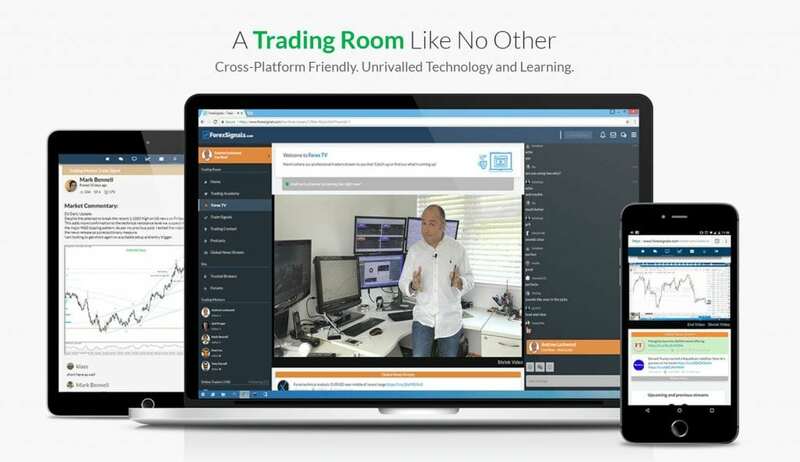 Basically, ForexSignals.com offers a platform where traders learn and implement lessons that they learn from the trading room or the chat room. It is a platform for both inexperienced and experienced traders. It very accommodating and everyone benefits. The professional mentors found on the site help newbies to Forex trade successfully. This is done in a chat room. That’s not the best part. The best part is that you are given access to the chat room for FREE! Other trading rooms come at a price but not ForexSignals.com. The information and advice acquired from this chat room are invaluable. ForexSignals.com has up to five daily live streams in its chat room. The training resources on this site are endless. These include trade signals and insightful, educational videos (Available only to members of the Pro Trading Academy). There is also provision for asking questions whenever a trader is unsure of what to do. The mentors offer prompt answers to these questions. The level of organization is among the best in the industry. The traders are alerted where exactly and the exact time to sell or buy currencies. You are given up to eight major currency pairs. Interesting, right? Goodbye confusion! They not only provide phone trade alerts, but also a signal (trade signal) software. These two, plus advice from the mentors on the site, you can be assured of making the right decisions, and a guaranteed good payday of course! These alerts are perfect because they give you the market entry point and Stop-and-take profit targets. You get the whole package. They are available to traders in over 150 countries. They are also available on above seven hundred mobile networks. So basically everyone is taken care of. Your location is not an issue. How are they able to pull this off, you ask? Well, they have a team of experienced professionals, with a vast knowledge of forex trading. They monitor and observe the market day and night and look for selling and buying opportunities. Good news is, you only get alerted when it is time to trade! You are guaranteed not to miss out on a trade. ForexSignals.com also has a team of professional mentors who guide you on how to go about trading Forex. These mentors have a lot of knowledge and experience on how to go about the business. When you visit their site, you get to interact with these mentors and learn so much from them. This enables you to make well-informed decisions and avoid losses. Not forgetting gaining experience yourself too! Traders also have the option of going to the site and interacting with other traders. (Birds of a feather) If you are a trader looking for a sense of belonging, then this is definitely the site you should join. You will definitely feel at home since there is a large number of traders who have been in the industry for quite some time. You can definitely learn a lot from them. Naked Trading Strategy – With this strategy, you don’t need indicators to earn from the forex market. It’s all about interpreting charts and price actions at key support levels. Fun fact: ForexSignals.com is dedicated to keeping its traders satisfied and motivated. The best three traders every month are awarded a $1500 total. This amount is for the traders demonstrating their ability in keeping their draw down to a minimal. How cool is that? Free money without putting in investment! Every trading platform has its pros and cons and ForexSignals.com is no exception. Here is a list of its given pros and cons, beginning with the advantages. Most of these come from users who have reviewed the site. The ForexSignals.com community is packed with highly knowledgeable and experienced traders who are spewing wisdom. It has professional and experienced mentors who are ready to give you good and honest advice. They are ready to train you on the market’s best secrets and how to go about trading. If you are a newbie, with time you also get to learn a lot and become a guru too. Most of the time, by the time this happens, you will be owning a fat bank account too. It is a great site to learn more about the trade and make money at the same time. If you are trader and a people person, then ForexSignals.com is definitely the place for you. This is not only a place of business but also a community where you get to interact with other traders and form relationships. You get to share knowledge and ideas with people who have the same interests as you. Now, who wouldn’t want that, huh? Like-minded traders get to interact and share experiences and tricks of the trade. This is an incredible way to gain knowledge about the industry since you get to learn from other peoples’ experiences. The site is flooded with knowledgeable and experienced traders who are more than willing to assist. The customer is king. This is definitely one of ForexSignals.com’s mantra. Their customer service is one of the best you will ever find in the market. The admins are helpful and always ready and available to assist whether it is during the day or at night. Some of the traders claim to sometimes receive responses to their questions from the owner of the site, Nick McDonald himself! Crazy, right? There’s no arguing that using ForexSignals.com brings about a lot of convenience to traders. How? You get alerts on your phone wherever you may be! This only happens when it is time to trade. So you will not be receiving millions of texts and not knowing the exact time to carry out the trade. It does not matter where you are or what you are doing, when it time to trade, it is time to trade. You are also given a total of eight major currency pairs. It is upon you to decide on what to do with them. ForexSignals.com gives you quick and easy access to information. This is because you get your alerts on your phone or through your email. Your mobile phone. Emphasis on mobile. You carry it around with you, so you can easily access information no matter where you are. It uses text messaging service to give you alerts. The second an opportunity is identified, you get the alert on your mobile device, therefore facilitating easy access to information. There is no additional or complex equipment required to receive these alerts. Just your very simple mobile phone or computer if you prefer. No complications whatsoever. You do not even have to use your own phone. You can use someone else’s. Apart from mobile phone alerts, ForexSignals.com also gives its users an option of using their software. This awesome software is called 4XFindMe. What does this software do? The 4XFindMe comes accompanied with many features among being SELL and BUY signals (showing the exact entry point) and also Stop-and-take profit targets. You can use this software to observe trade progress or to receive extra updates about your trade. It indicates your trade alert status. ForexSignals.com is not for you if all you want is to copy trading signals. You will be disappointed since they advocate for trading manually. The success statistics of traders you might want to follow is not accessible to the public. Following a signal provider’s advice like in ForexSignals.com is in a way disadvantageous because you will be dependent on them. You will always seek advice first before you carry out a trade since you will feel uncomfortable trading without their go ahead. This free advice is super addictive. You can not feel secure to trade on your own since you are used, for lack of a better word, to being spoon fed. ForexSignals.com is one of the best sites in the market that offers advice and guidance to its traders through a team of well-experienced gurus. It has different platforms for sending out these alerts: email service, text message service and through their App. They have a chat room where traders can interact and share advice and tips on how to trade. This is basically a community of traders consisting of both newbie and experienced traders. Traders can learn profitable forex strategies which can increase your success rate as a forex trader. 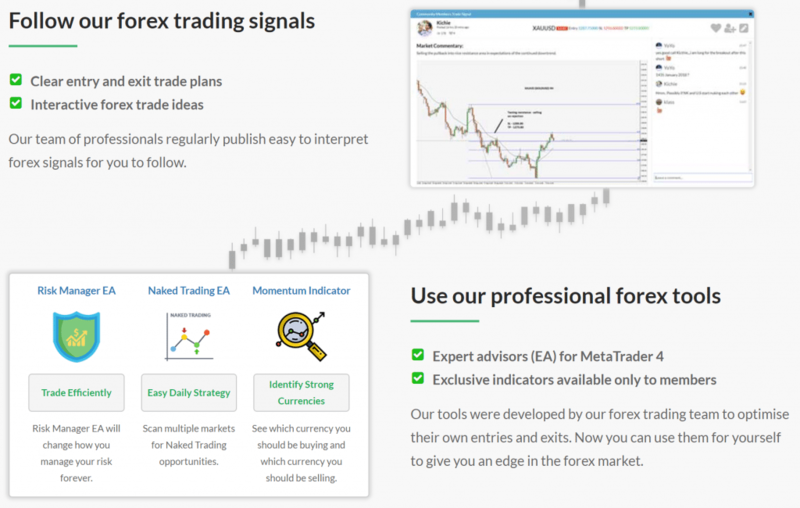 The site has a team of experienced traders that offer guidance on how to trade. They have awesome customer service since their response is super fast. This site is the best when it comes to organization. It has great reviews from its users across the globe. It is the best site when it comes to interaction. Traders who are looking for a sense of belonging can definitely feel at home at the site’s chat room. Over-dependence on signal providers like ForexSignals.com is not good since a trader cannot learn to trade without seeking advice from the mentors in these signal providers. ForexSignals.com is the best signal provider in the market and it comes highly recommended with a great rating. With Forexsignals.com, the benefits outweigh the disadvantages. It is a serious site and the mentors know exactly what they talk about. If you are looking for knowledge about Forex trading, this is definitely the site for you. The lessons and tricks you will get here are invaluable and can not be acquired elsewhere. You will not regret joining ForexSignals.com because of their level of organization, transparency and good quality education. You stand to make good money from Forex trading if you follow the advice given by mentors. Basically, ForexSignals.com comes highly recommended. The number of traders that end up gaining knowledge from the site and becoming gurus is uncountable. ForexSignals.com has quite a number of excellent reviews, from users all over the globe. 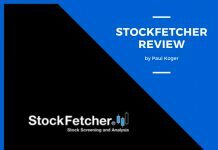 As long as you do not have a problem with manual trading, this is a highly recommended platform.